All metal construction, an oversized backlit display, and simple, intuitive operation make the PGW a winner in laboratory and industrial applications. That’s because every PGW comes LOADED with solutions for the critical issues that users face: Reliability – The Adam Equipment PGW balance offers proven processing technology plus GLP and custom printouts with date and time, and a capacity tracker to monitor weighing range. Flexibility – Choose a PGW model with internal or external calibration and customize text prompts in English, Spanish, French, or German. 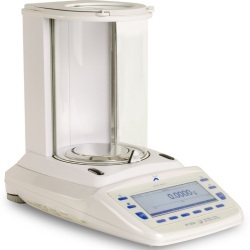 Simplicity – The PGW boasts an oversized backlit display with 24mm digits plus modes to meet every lab’s need: counting, percentage, animal weighing, check weighing, net/total, & auto density calculation.